Quality Home Building for 30 years! "Making Dream Kitchens a Reality!" "Details from Design to Finish!" Sunset Builders, LLC is a family owned construction business serving Crossville, Fairfield Glade and nearby areas. We pride ourselves in the quality of work we provide. With over 71years of combined professional experience, Sunset Builders has the knowledge and skill needed for any building project. We specialize in building custom details into each project and control the quality and timeliness of each project by having our own carpenters. 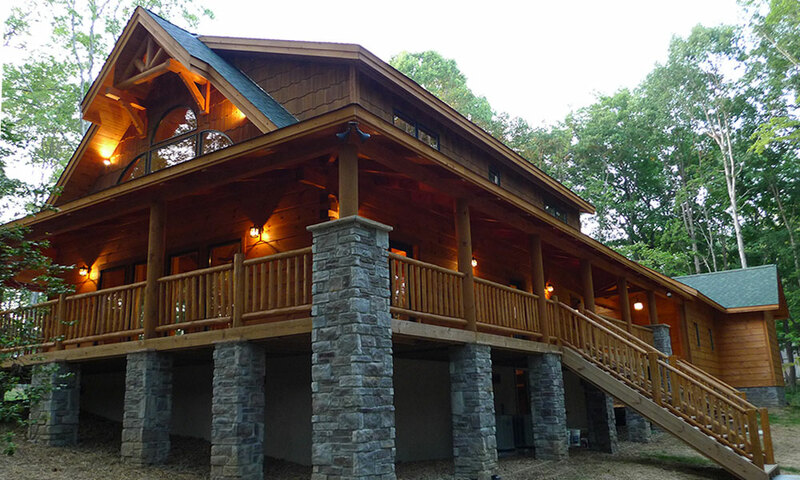 Conveniently located in Crossville, TN, we are the preferred local home building contractor for many projects, including custom home builder, sunrooms, home remodeling, moisture control, kitchen remodeling and cabinetry in and around Crossville, Fairfield Glade, and Cumberland County. Please enjoy our website where you can see some of the services we offer. However, if you don't see exactly what you need, please contact us by phone at 931.456.4142 or click here to send us an email. I wanted to take a minute to thank you for a wonderful job well done. We absolutely love our new kitchen. You turned ugly into beautiful. We bought our house and loved everything about it but the kitchen. Your skill and workmanship is outstanding and you all were so easy to work with even when I added something or changed my mind. I am constantly showing my kitchen to all our friends. Of course, everyone loves the floor and each time I look at it I am amazed how lovely it is. We think of you as our builder and don't want to use anyone else. Before we found Sunset Builders, we had been burned a few times and decided to have quality work rather than cheap work. Gene and I can't thank you enough for your services. I would like to thank you and all of your workers who remodeled our kitchen. We couldn't be happier with the results and have received many, many compliments. It is exactly what I had hoped for and am so very satisfied. The workers were great - courteous and always wiling to answer our numerous questions, and we always seemed to have many questions. If anyone would ever like to see some of the work done by Sunset Builders, we would be pleased to show them our kitchen. Thank you again. 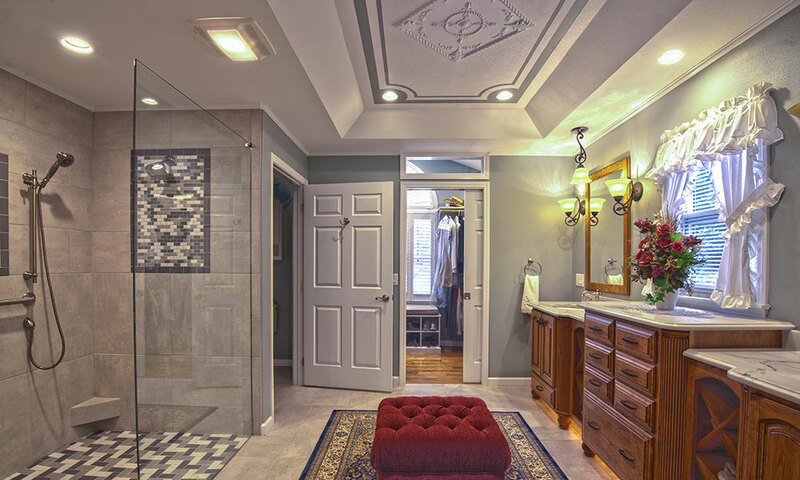 We are very pleased with the great job that you did in remodeling our master bathroom. Your involvement and assistance on all details from beginning to end were very much appreciated. Special thanks to Isaac and his expert team. They were a very experienced, courteous, and pleasant group to have in our house. We are extremely proud of the results of the efforts of you all and would be very happy to show our new room to any prospective clients. It is my pleasure to recommend Sunset Builders, LLC to anyone remodeling, building, etc. 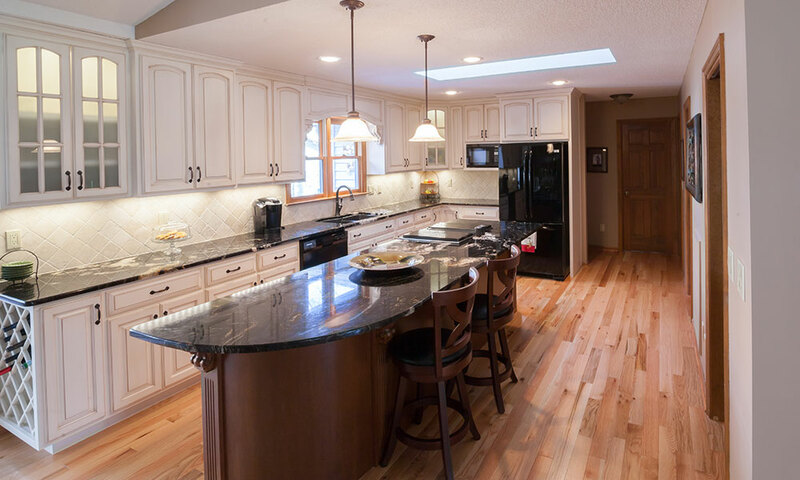 They are exceptionally efficient and talented in all phases of building and remodeling. They remodeled my kitchen with new cabinets that are beautiful, they cleaned up after their days work. They were very helpful in suggestions. They stand behind their work and if it is not satisfactory to you they will make it right. I admire all their employees for their friendliness. I feel like I can call on them if I have any questions. Remember them when you have a project you want done right. Unbelievable! That's what Sunset Builders are! I have used them for several years- big jobs and several small jobs and have always been very satisfied. When I had a home project I called Sunset Builders. Caleb came to the house and we discussed the projects. He really LISTENS! Several options were suggested. Several days later an itemized bid was delivered. I reviewed the bid, signed it, sent it off. The crew arrived on the scheduled date. They were always on time, did their job without wasting time, were courteous, detail oriented, well informed and consulted as needed. They had a positive attitude and great work ethic. Caleb is my 'to go person' if I need professional input regarding home and property concerns. 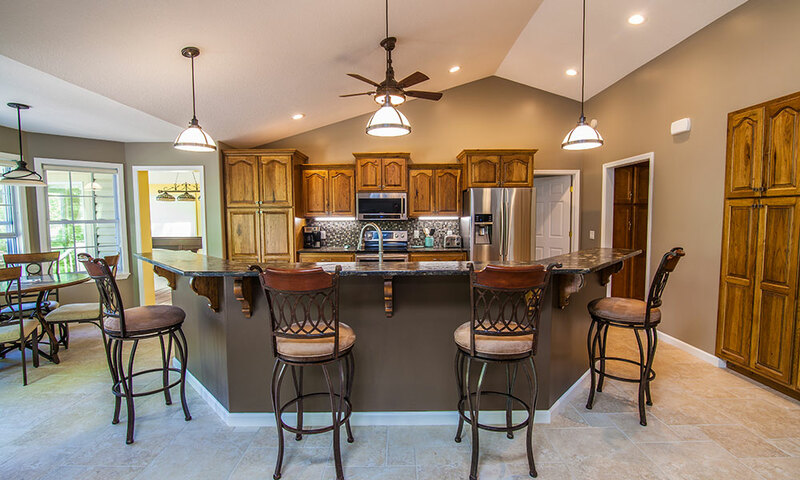 No matter what type of new construction or renovation project, you can count on Sunset Builders, LLC, of Crossville! With decades of experience, we have the talent to complete your project to perfection, every time. © 2013 – 2016 Sunset Builders, LCC. All rights reserved. Another Great Site By Electron Media.